Region 8 Examiners encourage PVT activity by instructing Dan Test candidates to submit a written description of a self developed Personal Vision Tour (PVT) project that they have put into action at least 6 months before their exam date. Personal ownership of the project and the timeliness of the assignment in relation to their approaching Dan exam are key. PVT projects are assigned in addition to the required essay. Working with your personal instructor, candidate should plan, execute, and then report on a personal project that helped increase the visibility of Soo Bahk Do® in your local community/region/nation and brought new students to your Do Jang. Your project chosen should clearly demonstrate your leadership skills in organizing people for a specific purpose. or using your own specific talents to assist your instructor. or providing a budget structure for administrative purposes. 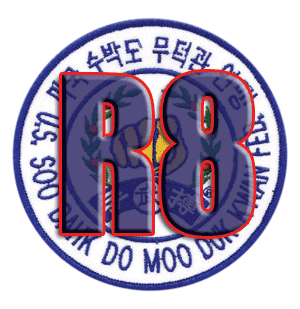 Your PVT project should go above and beyond your duties as a Sun Beh (senior member) of your dojang. As such, projects such as assisting in teaching classes, or welcoming new students to the Do Jang would not qualify as a PVT project. Once you and your instructor have agreed on the appropriate project, then you will execute the project with adequate lead time to fully complete the project before your exam date. Attach a brief description of your completed project in your Dan test application packet. You will present your project to the testing board at your testing event in an oral presentation of no more than 2 minutes in length. Your presentation may or may not be followed by Q&A with the testing board. Your presentation should reflect the highest level of Moo Do professionalism and clearly demonstrate the 5 Moo Do Values. Region 8 reviewed the PVT presentations of ten Dan test candidates and the entire process took 20 minutes to complete. PVT presentations were scheduled the day before the formal Dan examination. Regional Examiners and available testing board members were present for the PVT presentations. Positive feedback came from the candidates, their families and the members who observed the PVT presentations of the ten candidates. School owners expressed that their schools had benefited directly from the PVT activities of the ten candidates. 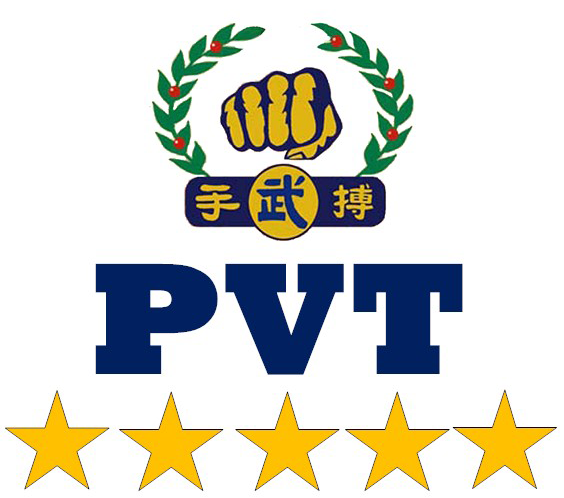 The PVT assignments and the resulting PVT projects executed by Dan test candidates clearly elevated member energy and connected members with meaning and purpose within their local communities. The PVT projects also stimulated each individual to effect positive change within themselves, their schools and their communities by bringing attention to the values of Soo Bahk Do® through their personal actions. Regional Examiners can consider the number of candidates and unique regional event dynamics to determine when, where and how PVT presentations might fit into the Regional Dan test event. In some cases where it is not possible to schedule an oral presentation during the event, the document that is turned in is available for review and can be shared through Regional websites, studio websites with PVT pages and social media. Three example PVT Projects submitted by Dan test candidates are featured below.